Different civilizations result from intelligence. By augmenting our human intelligence with different forms of artificial intelligence, we can make civilizations flourish as long as the artificial intelligence and technology are kept beneficial. Artificial intelligence (AI) is the science that makes computers and machines perform tasks that require intelligence when performed by humans. These tasks include learning, problem-solving, and reasoning, perception and understanding languages. With AI, computers and machines are able to perform tasks that are normally performed by humans such as driving, facial recognition, playing games, and many more. As a result, AI has been the focus of technology not only at the present but also in the future. Some of the reasons why artificial intelligence will be the future of technology are discussed here. 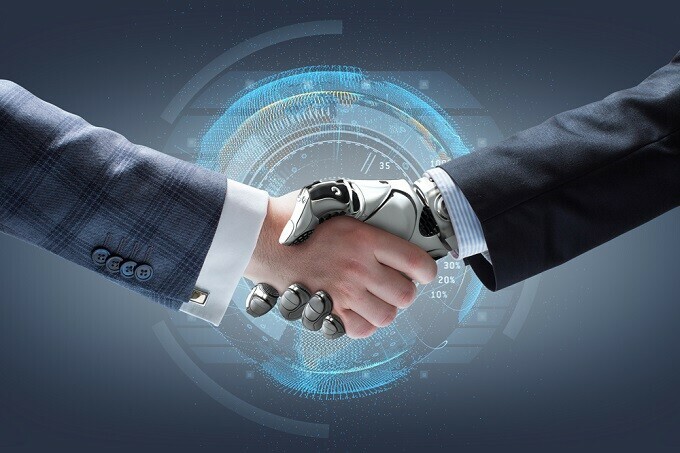 AI has been continuously making its way into decision making in different fields such as business, computing, engineering, finance and economics. For instance, artificial intelligence is and will continue being widely used in smart investment systems. In these systems, the AI automatically defines an investment portfolio. Based on a set of specified criteria, adjustments are made automatically to ensure the desirable outcomes are achieved. In the airline ticketing system, AI is used in adjusting the prices depending on a given criteria set before. This trend is expected to continue as even more tasks are taken by artificially intelligent computers and machines. AI is more accurate in performing the tasks it is designed to perform. The accuracy of a narrow AI that specializes in a particular task is much more than human accuracy. For example, AI designed to only drive a car will drive more accurately than a human driver. The AI designed to recognize faces and images as seen in a GPU database does it better than when the same task is assigned to a human. This makes GPU databases more flexible and in processing large amounts and different types of data. AI facilitates for automation of various services. One of the most notable fields for automation is transportation. Self-driving cars are already in existence even though currently they are required to have a driver for safety. Although the technology is not yet perfect at the moment, it expected that more time, research and resources will continue to be directed towards its perfection. With automation of transport, more efficiency on the road can be expected with time used for driving being utilized for other things. Apart from personal cars, other means of transport such as trains and buses are moving closer to full automation. This trend shows that AI growth and utilization will continue in different technologies. AI is used to recognize particular patterns among the shoppers, especially in online shopping. By recognizing these patterns, AI can be used to recommend particular products to potential clients improving a company’s sales and solving the client’s’ needs. For instance, Amazon has been using AI to recommend products to clients in their e-commerce business. With Amazon’s success, other businesses are more likely to take up this trend promoting further growth of AI. Currently, robots are already doing some of the dangerous jobs such as bomb defusing. Although these are not fully artificially intelligent as they require human control. Technology will keep focusing on improving AI such that robots will be able to handle such tasks without human control. By taking these dangerous tasks, human lives are spared. Other jobs that may require integration include welding due to the toxic chemicals, heat and noise produced in the process. Artificial intelligence application has been increasing since its introduction. The applications are expected to continue rising in the future because of the efficiency, accuracy and dependability AI exhibits. The ability of AI to make computers and machines learn, solve problems, reason, perceive and understand languages will continue making most technological innovations focus on it. Digital Transformation: Does The Retail Industry Follow Technology, Or Vice Versa?